So much of what was going in in Business Aviation in 2016 had to do with unmanned aircraft. The FAA established clearer rules about the commercial operation of drones, and the industry saw at least epic fail. Meanwhile, sales of business aircraft continued to be soft in a very sluggish economy. In southern California, one city let everyone know what it thinks of its airport. Scroll down for some of the top stories from business aviation from the past year. As the UAV industry faces new restrictions and concerns about where the small aircraft may and may not fly, DJI has launched a public beta version of its new geofencing system in North America and Europe. The NTSB released a preliminary report from an accident involving an Air Methods AS350B3 that went down near Superior, AZ on December 15, 2015. Intel signed a definitive agreement, subject to customary closing conditions, to acquire Ascending Technologies, a drone company located in Krailing, Germany. 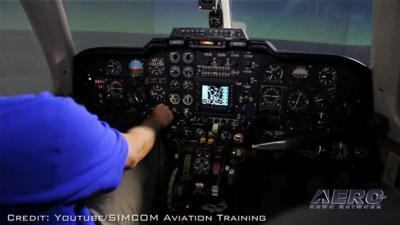 The company has developed auto-pilot software for its aircraft. A private individual filed a lawsuit against the FAA in the Court of Appeals for the District of Columbia claiming that the FAA's new UAV registrations rules contradict Section 336 of the FAA Modernization and Reform Act of 2012. The FAA publicly released its B4UFLY mobile application following an initial beta testing period. A legal challenge to the FAA's new UAV registration rule filed by a Maryland attorney who is also a recreational drone operator has a good chance to succeed, according to some analysts. Bombardier Business Aircraft continues to restructure and enhance its business model to improve long-term profitability. The helicopter tourism industry and New York City officials have agreed to a compromise that will cut the number of tourist flights over the city by half. The NBAA, AOPA, and several other groups and individuals including Harrison Ford filed a reply to an appeal by the city of Santa Monica requesting that it be allowed to supplement the record in its pursuit of closing the airport. A prototype UAV operated by Google went down last May because of a structural failure, the NTSB said in a probable cause report released Friday. A Republican lawmaker in Arizona has reintroduced legislation to exempt crop dusters and charter aircraft operators from sales taxes in the state. The National Air Transportation Association (NATA) has released the Safety 1st General Aviation Misfueling Prevention Program – a free, online-based awareness program for pilots, line service professionals, FBO general managers and customer service representatives. NBAA has joined with other aviation interests in filing an appeal seeking to overturn aircraft operational restrictions adopted at East Hampton Airport (HTO) on Long Island, NY. FAA Administrator Michael Huerta told a UAV conference Monday that the number of drones now in its registry has surpassed the number of manned aircraft registered by the agency. The FAA certified Diamond’s new DA62 twin clearing the way for US customer deliveries. The first flight of P2, the second prototype of the Marenco Swisshelicopter SH09, was performed with Richard Trueman, Chief Test Pilot, at the controls and Peter Wittwer as Flight-Test Engineer at the company's facilities at Mollis airport in Switzerland. AVIC announced that they received an information sent by FAA on Feb. 22nd (US local time), saying that the advanced turboprop new-generation general-purpose regional aircraft Y12F, independently developed by AVIC, has beengranted the Type Certificate (TC) by FAA. The winner of Sikorsky Innovations' 6th Entrepreneurial Challenge has been named. The organization declared Solace Power, based in Mount Pearl, Newfoundland, Canada, winner of the 6th Entrepreneurial Challenge for its presentation of Resonant Capacitive Coupling wireless power technology and granted the firm a $25,000 prize. Enstrom said that the hard landing experienced by its prototype TH-180 helicopter on February 12th will force only a minimal delay in the certification of the aircraft. The NTSB released its probable cause report from an accident in October, 2014 involving a Raytheon Aircraft company B200 that impacted the FlightSafety building in Wichita, KS. Four people were fatally injured in the accident. The NBAA reasserted its long-standing support for California's historic Santa Monica Municipal Airport (SMO). The association’s latest expression of support came in connection with oral arguments on an appeal of an earlier court ruling denying on procedural grounds the city's interpretation of the terms of the 1948 document transferring ownership of SMO from the federal government to the city. 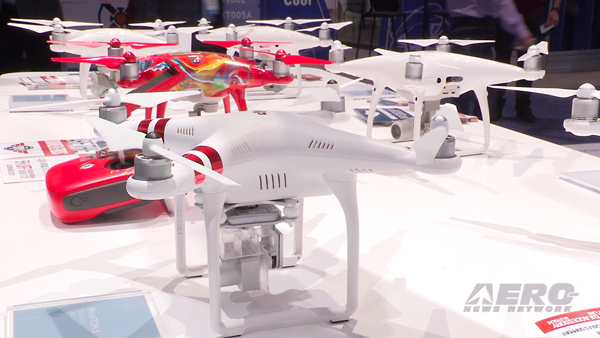 The FAA made some adjustments to its Section 333 exemption policy for commercial use of UAVs. 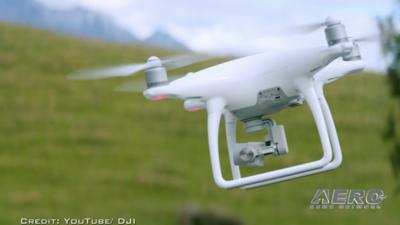 UAV manufacturer DJI filed a lawsuit in the United States District Court for the Central District of California claiming that rival drone-maker Yuneec has infringed on two of its patents for its aircraft. U.S. Sens. Jim Inhofe (R-OK) and Cory Booker (D-NJ) introduced amendment #3492 to the Federal Aviation Administration Reauthorization Act (H.R. 636) that would ensure operators of critical infrastructure are able to use unmanned aerial vehicles (UAV) to assist with compliance of existing federal regulations and to respond to natural disasters. Three years after establishing a joint venture between Cessna Aircraft Company and China Aviation Industry General Aircraft Company (CAIGA), deliveries of the Cessna Caravan single-engine utility turboprop have increased nearly 80 percent in country. Forecasts for new business jet deliveries have always been available from a multitude of aviation manufacturers, suppliers and third-party consultants. But when it comes to finding an outlook for pre-owned aircraft sales activity, all that exists is 20/20 hindsight and never what the future holds. For the first time, the FAA authorized commercial night flights by a UAV operator. In a Federal Register notice, the FAA officially notified owners of small unmanned aircraft systems (UAS) used for commercial, public and other non-model aircraft operations they may now use the FAA’s new, streamlined, web-based registration process to register their aircraft. The FAA approved a new Angle of Attack (AoA) system for Mitsubishi MU-2 aircraft. Speaking at the AUVSI annual conference in New Orleans, FAA Administrator Michael Huerta announced the agency is establishing a broad-based advisory committee that will provide advice on key unmanned aircraft integration issues. He also announced plans to make it easier for students to fly unmanned aircraft as part of their coursework. Leonardo-Finmeccanica announced that the third prototype (A/C3) of the AgustaWestland AW609 TiltRotor has completed its first ground run at the company’s facilities in Cascina Costa, Italy, marking a critical milestone as the program advances its testing and plans a resumption of flight testing activities. The FAA certified the two-place Robinson R44 Cadet helicopter. CHC Group and certain of its wholly-owned subsidiaries have filed voluntary petitions for relief under Chapter 11 of the United States Bankruptcy Code in the United States Bankruptcy Court for the Northern District of Texas to facilitate the restructuring of its balance sheet and fleet. Airbus Helicopters will begin manufacturing H135 helicopters in Russia next year, according to Russian media reports. On May 17, 2016 the turbine powered DART-450 took off for its first flight. 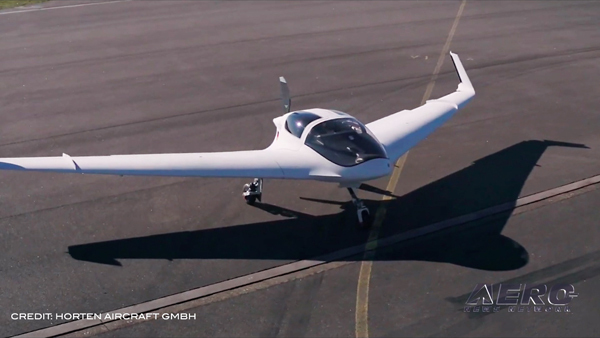 The DART-450 (Diamond Aircraft Reconnaissance Trainer) is the world's first all-carbon fiber tandem, 2-seat civilian and military trainer with a sidestick and pneumatic ejection seats, according to the company. The Honorable Marc Garneau, Minister of Transport, has proposed changes to the Canadian Aviation Regulations to enhance the safety of seaplane operations. The proposed regulations respond to the Transportation Safety Board of Canada’s recommendations following the 2009 seaplane accident in Lyall Harbour, British Columbia and the 2012 accident in Lillabelle Lake, Ontario. Air Tractor is expanding into the field of unmanned aerial systems. The recent acquisition of Hangar 78 UAV, and its flagship aircraft, the Yield Defender unmanned aerial system (UAS) will create the foundation of Air Tractor’s development and visionary integration of unmanned technology to complement its core agricultural and firefighting aircraft lines. Pilot David Quinones had a bad day last year on the 4th of July. The commercial pilot was flying his UAV on the beach in Coney Island in Brooklyn, NY while the Nathan's Hot Dog Eating Contest was underway. The Academy of Model Aeronautics (AMA) released an updated analysis of the FAA’s drone data which finds a month-by-month decline in UAS sightings since peaking in August 2015. Cessna powered the electrical distribution system on the revolutionary Cessna Citation Longitude super-midsize jet, completing the next major step in the aircraft’s path to accomplish first flight this summer. 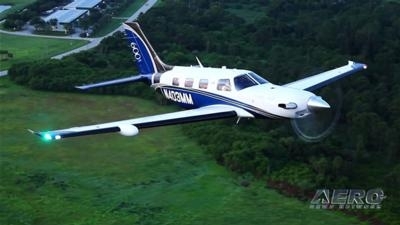 The FAA certified the Piper M600, the company's new flagship. Piper Aircraft, Inc. and the FAA made the announcement Friday at the company's headquarters in Vero Beach, Florida. Viking Air Limited, manufacturer of the Twin Otter, has acquired the worldwide amphibious aircraft program from Bombardier. The amphibious aircraft program includes the Bombardier CL-415 waterbomber and its variants, as well as the earlier CL-215 and CL-215T versions. A personal aircraft based on ducted fan technology is reportedly in development by Airvinci, which hopes to flight test a prototype heavy drone version of the aircraft this summer. Ralph Rebaya is in the midst of fighting an emergency revocation of his private pilot certificate for flying a seven-pound UAV in a way the FAA says was reckless and dangerous. But the person issuing the revocation may not have had the authority to do so. The Accident Investigation Board of Norway (AIBN) has determined that the most likely cause of an accident involving a Super Puma helicopter in April was a fatigue fracture in one of the second stage planet gears. What initiated the fatigue fracture has not yet been determined. The Yonkers City Council found a way to prevent multiple helicopter flights per hour to and from the Statue of Liberty; they voted to ban heliports in the community. A prototype Bell 525 flight test vehicle was involved in a tragic accident near the Bell 'Xworx' test facility near Arlington, TX. It would appear that the U.S. Department of the Interior has banned internal use of DJI sUAS because they upload telemetry data to the cloud, and Chinese servers. Bristow Group has announced that Hilary Ware, Senior Vice President and Chief Administration Officer, has left the company for personal reasons, following a brief leave of absence. Honda Aircraft Company announced that it has earned a Production Certificate from the FAA. Honda Aircraft Company is building the HA-420 HondaJet, an advanced light jet, at its world headquarters in Greensboro, North Carolina. Robinson Helicopter Company delivered its first two (serial numbers 30002 and 30003) production R44 Cadet helicopters to Heliflite Australia, a longtime Robinson dealer. Here it is... hot off the wireless... an announcement by ONE Aviation that is most decidedly exciting. ONE Aviation has filled ANN in on the initial facets of an improved Eclipse project -- offering more performance and features. Currently known as 'Project Canada', ONE Aviation proudly intones that this new aircraft is all about offering MORE. There was much celebration in Capua, Italy as the Tecnam P2012 Traveller achieved its first flight. With deliveries scheduled for the first half of 2017, Embraer Executive Jets introduced the next generation Phenom 100, dubbed the Phenom 100 Evolution (EV), with increased power, range and payload along with a new avionics suite. 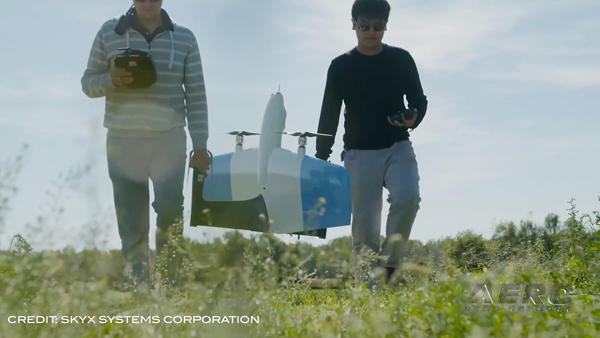 7-Eleven and Flirtey completed the first fully autonomous drone delivery to a customer's residence to advance research toward integrating drones into the National Airspace System. This delivery is the first time a U.S. customer has received a package to their home via drone, representing a historic milestone in both U.S. and global commerce. Sinclair Broadcast Group joined leaders in government and industry to examine the commercial applications for unmanned aircraft systems. Sinclair was the only broadcaster to be invited to the White House workshop, "Drones and the Future of Aviation." Leonardo-Finmeccanica confirmed that the first AW609 TiltRotor prototype has resumed flight testing in helicopter and airplane modes. 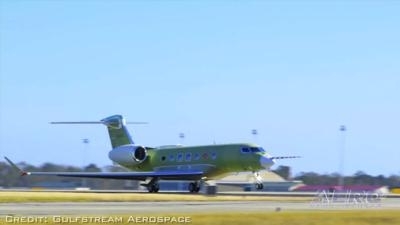 The fifth Gulfstream G500 test aircraft has completed its first flight. The aircraft is the first production test aircraft to be outfitted with a full interior and serves as the testbed for the cabin. The Government Accountability Office (GAO) published a report focused on the so-called "fuel fraud" provision in aviation fuel tax laws. The GAO determined that as a result of the provision, between $1 billion and $2 billion has been improperly held back from the Airport and Airway Trust Fund over largely unfounded concerns about the use of aviation jet fuel in ground vehicles. EASA has certified Piper's M500, clearing the way for the aircraft to enter into service on the European registry. The supersized hybrid airship Airlander 10 has suffered a mishap on its second test flight, according to the company. With regulations governing civil and commercial operations of unmanned aircraft systems (UAS) now in effect, more businesses and innovators are poised to take flight and unlock the tremendous economic benefits of the technology, AUVSI President and CEO Brian Wynne said at a press conference. The Santa Monica City Council is certainly determined to do away with an invaluable resource. On Tuesday August 23, 2016, the body adopted a resolution calling for the closure of the Airport as soon as legally permitted, with the goal of closure on or before July 1, 2018. The newly established Drone Advisory Committee (DAC) planned its inaugural meeting for September 16. The Virginia Tech Mid-Atlantic Aviation Partnership and X's Project Wing planned to conduct research flights this fall at Virginia Tech, delivering food using unmanned aerial vehicles. It certainly didn't LOOK like much of an accident when the Airlander 10 nosedived into the ground on its second test flight last month, but the damage caused by bumping the ground will take three to four months to repair, according to Hybrid Air Vehicles. The FAA granted certification on all 400XPR program elements. All components of the exclusive factory-approved, engineered and supported upgrade package are available for installation on Beechjet 400A/Hawker 400XP aircraft at Textron Aviation service centers worldwide. New research from Florida-based Global Jet Capital, a global provider of financing solutions for corporate aircraft, reveals 90% of business aviation professionals from around the world believe the U.S. market is currently attractive for finance companies, with 59% saying it’s ‘very attractive’. Just 4% describe it as ‘unattractive’. GoPro has unveiled the long-awaited Karma drone along with several other new products and services that the company says dramatically simplify the process of capturing, editing and sharing engaging content. It's the end of the line for the Gulfstream G150. The company has announced a deal for the sale of the final G150, which will be delivered to a customer in mid-2017. California Governor Jerry Brown vetoed a bill that would have required hobby drone operators to carry liability insurance on their aircraft. Small business owners told a key Congressional subcommittee that new federal regulation that allows commercial use of small unmanned aircraft systems, otherwise known as drones or UAS, are opening up the skies and opportunities for new jobs and economic growth. Viking Air Limited of Victoria, British Columbia, has now completed the acquisition of the Amphibious Aircraft program from Bombardier, including transfer of the Type Certificates for the CL-215, CL-215T, CL-415 aircraft and all variants to Viking. 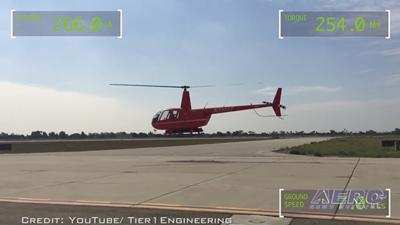 A battery-powered helicopter was flown for the first time at the Los Alamitos Army Airfield. 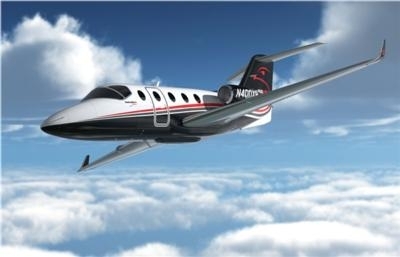 Cessna Aircraft confirmed the completion of the successful first flight of its Citation Longitude super-midsize jet. The flight comes less than a year after the company unveiled new details for the revolutionary aircraft. EASA lifted the temporary flight suspension of the Super Puma EC225 LP and AS332 L2 helicopters from Airbus Helicopters put in place on 2 June 2016 following the crash of an EC225 LP helicopter in Norway on April 29, 2016. NBAA President/CEO Ed Bolen cited "an urgent need for further, stricter action" by the FAA to halt blatant actions by city officials in Santa Monica, CA, to drive local businesses from Santa Monica Municipal Airport (SMO). The Transport Accident Investigation Commission (TAIC) of New Zealand has placed Robinson helicopters on its list of "Most Pressing Concerns" due to a high number of fatal accidents associated with the aircraft. Cessna announced during the 2016 Business Aviation Exhibition & Convention that its Citation Longitude will exceed initial performance targets with improved range and payload for this revolutionary super-midsize business jet. NBAA-BACE”s Opening General Session on Tuesday, Nov. 1, featured two videos about Palmer. The first included excerpts from Cessna Chairman Emeritus Russ Meyer”s remarks at the late golfer's memorial service. The second was Palmer's iconic TV message touting the truth about business aviation. In addition, each session attendee was provided a complimentary copy of the Convention Issue of NBAA's Business Aviation Insider magazine, which includes a tribute to Palmer. Sikorsky announced the donation of its ground-breaking X2 Technology Demonstrator to the Smithsonian's National Air and Space Museum at the Steven F. Udvar-Hazy Center. The maiden flight of the first Bombardier's Global 7000 was completed. The initial flight of the first flight test vehicle (FTV1) marked the start of an agressive flight test campaign which, if all goes according to plan, should see the aircraft enter into service in the second half of 2018. GoPro Inc. announced the recall of the approximately 2500 Karma drones purchased by consumers since October 23. The recall was announced after GoPro discovered that in a very small number of cases, Karma units lost power during operation. No related injuries or property damage have been reported. Echodyne Corp announced the first ever successful test of an airborne Detect and Avoid (DAA) radar on a small Unmanned Aerial Vehicle (sUAV). Echodyne’s radar was mounted on a small commercial drone which flew multiple missions below 400’ over a period of several days. Thousands of UAV operators who had been granted a Section 333 exemptions prior to the FAA's change to a blanket exemption to its Certificates of Waiver or Authorization (COA) in March have been granted some new capabilities that were not possible before, according to the Rupprecht Law firm, which specializes in drone law. In one of the few, enduring success stories in BizAv, the Gulfstream program continues to develop and innovate new airframes that they seem to have comparatively little trouble selling. 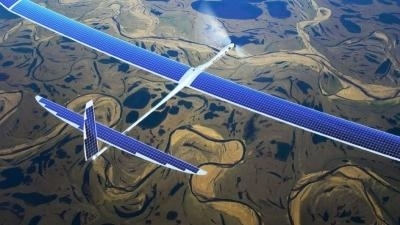 The downing of the solar-powered Facebook Aquila drone has been attributed to strong winds which caused the aircraft's wings to fail, according to the NTSB's probable cause report from the accident. Over the last year, the FAA made great strides toward integrating unmanned aircraft – popularly called “drones” – into the nation’s airspace. The first big step took place last December 21, when a new, web-based drone registration system went online. Robinson Helicopter released a safety alert following persistent reports of low-G mast bumping accidents in R44 and R66 helicopters. The FAA granted a certificate of authorization to the Northern Plains UAS Test Site to begin flight testing beyond visual line of sight (BVLOS).